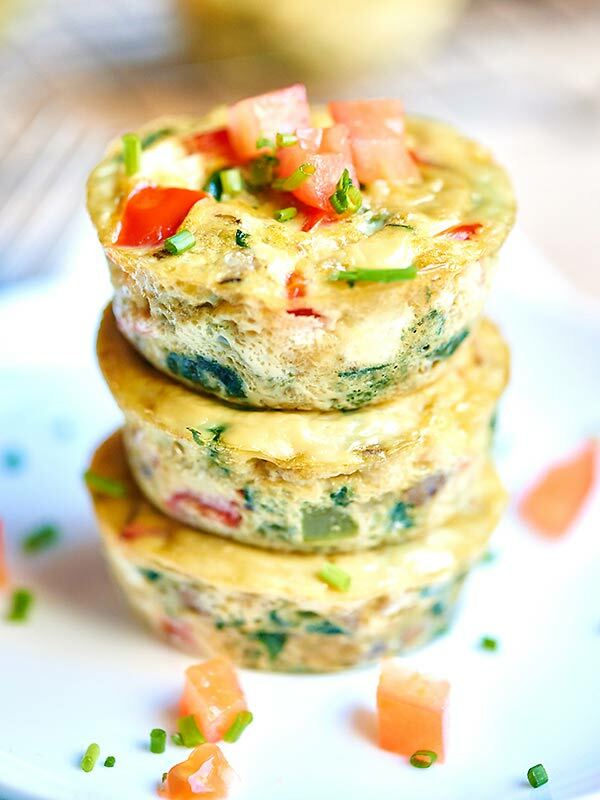 Have you made mini-frittatas yet? Sometimes they’re called egg cups. They’re awesome! Already portioned out, super easy, incredibly versatile and leftovers store really well in the fridge or freezer. Definitely not only for breakfast! They’re a bit more time consuming with the recipes I’ve shared with you previously. Because of that, I like to make them during the weekends and have them ready for the whole week. Depending on the veggies you might want to saute first, and definitely cook any meat first, too. Here’s a good recipe with more detailed instructions, and even a video. There’s a printable version if you scroll all the way to the bottom.